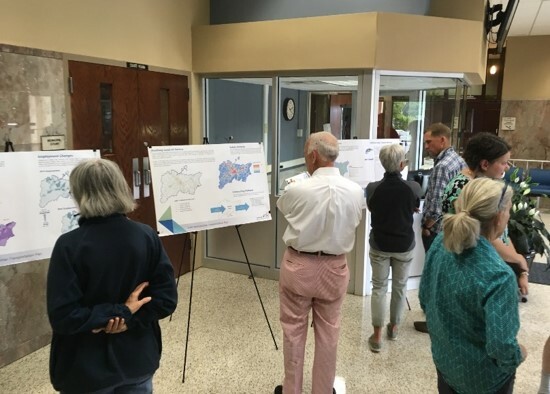 The Johnson City MTPO Public Participation Plan is an umbrella policy, encompassing the plans and programs of the Urban Area's transportation planning process, including Johnson City Transit (JCT). Public participation is an integral part of the Johnson City MTPO's planning efforts. The Public Participation Plan encompasses the public participation programs for all the major planning activities, including the Long Range Transportation Plan, the Transportation Improvement Program (TIP), the Unified Planning Work Program (UPWP), the MTPO's provisions for the American with Disabilities Act (ADA) and any Air Quality Conformity Determinations (if needed). Currently the Johnson City MTPO Study Area is classified as attainment for air quality by the Environmental Protection Agency and does not fall under air quality conformity issues. The plan was originally adopted in 2008 and was amended in 2016.